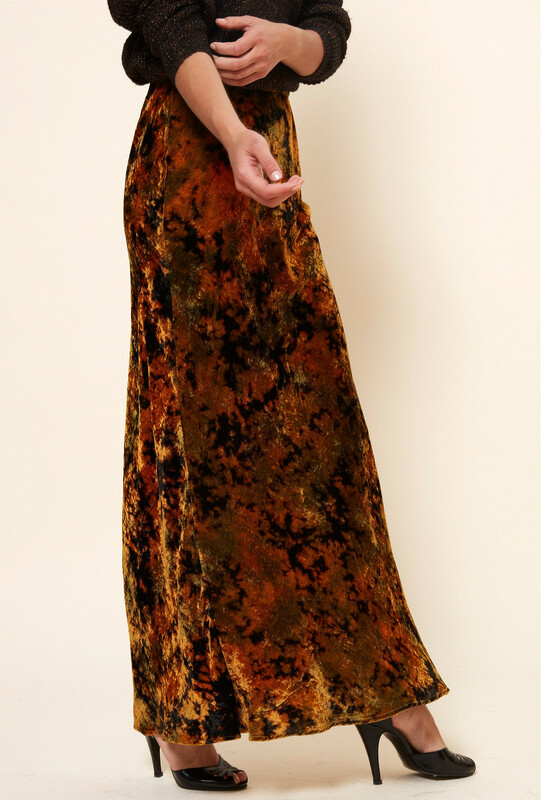 This vertiginous skirt is made of silk velvet. It has an elastic band at the waist for an optimal comfort. Slightly flared at the bottom that will marry well with your figure.